Patrick Daniel (Danny) McHugh is now anchoring a pretty incredible fastball team in heaven. If it’s like any of the teams the Warminster native pitched for on planet Earth, they’ve already racked up one heck of a winning streak. In his time, Danny was one of the best all-round players Simcoe County ever produced. Now his friends, along with fellow fastball and hockey teammates, are left with memories of a gentleman who loved sports, and displayed class and dignity both on and off the ice or diamonds. Surrounded by family, Danny died at Soldiers’ Memorial Hospital on April 14 at the age of 72. In attempting to capture what kind of an athlete Danny McHugh really was, I rang up Garry Jermey, a veteran fastball player and umpire, who played both with and against McHugh. As a teenager, McHugh developed a passion for fastball, but struggled to learn proper pitching technique. “When he started pitching, Danny was as wild as wild could be. There were a few teams that walked off the diamond when he was first pitching,” chuckled Jermey. But time and experience provided him with the control and speed he needed to hone his game to the point where he dominated batters. “Danny was not only a great pitcher, but also a great all-round player and he could play any position. He could run, hit and throw,” said Jermey. McHugh played senior fastball for a number of years with the team sponsored by the Elmvale Palace Hotel. Later he returned to Warminster where he played locally, while also suiting up in the early 1970s with a squad organized by the Ontario Hospital, now referred to as the Huronia Regional Hospital. As a pitcher, McHugh was well known for his velocity. “When Danny was pitching and he was on his game, his front foot would just smack on the ground. When that front foot was smacking on the ground, you knew he was humming the ball,” said Jermey. In later years, Danny saw his son Nick take up fastball, as a pitcher. “Playing with him, I don’t think I ever saw him get mad or upset with a teammate that made an error behind him. He never degraded anyone and was just a true gentleman of the game,” said Jermey. McHugh would continue to play fastball into the 1970s when he graciously retired from the game. To all who knew him, Danny was a gentleman right up until the final pitch. 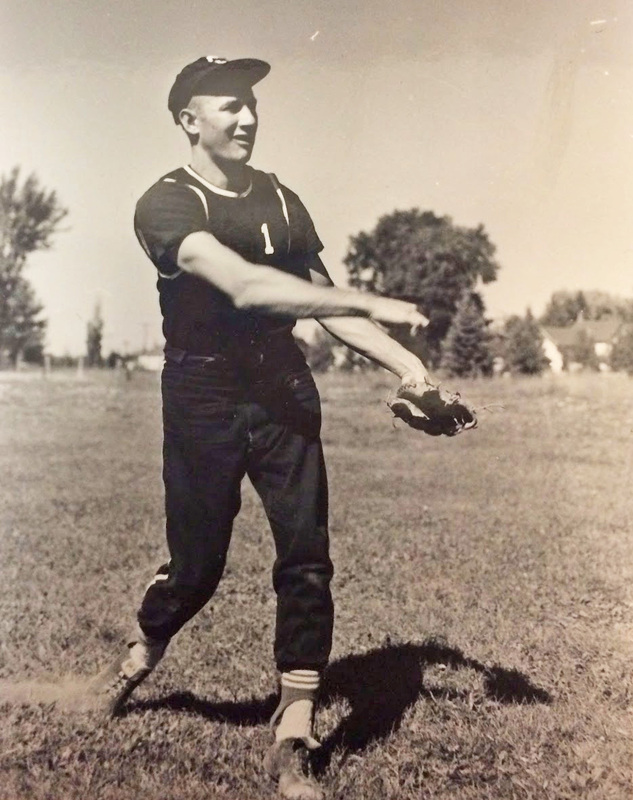 The Orillia and area sports community is blessed to have had so has so many athletes past and present who have helped cultivate such a rich sports heritage. Danny McHugh was one of those treasures and we thank him and his family for his contributions.